Meal planning can be daunting but I have to do it. I need to have a plan so I am not scrambling around at 4:00 when both kids start to have melt downs and decide on dinner. I meal plan on Sunday morning and try to shop in the afternoon. I look through the ad and see what's on sale and try to plan around that. 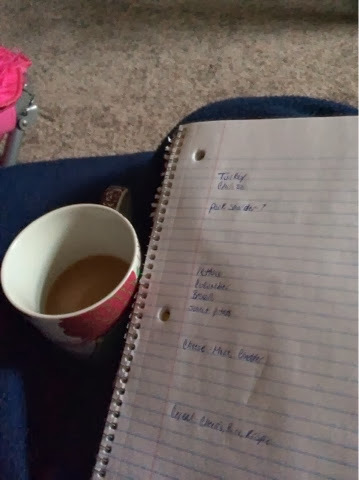 Then I make a list for snacks and pantry essentials that we might be out of. We always have a salad with dinner too. For lunches this week we will make spaghetti, cheese with lunch meat and peanut butter sandwiches. We have 2 lunch play dates this week so we will be eating out. How do you plan for the week? I'd love to hear some tips to make thing easier. Happy new year! Welcome 2014!! !